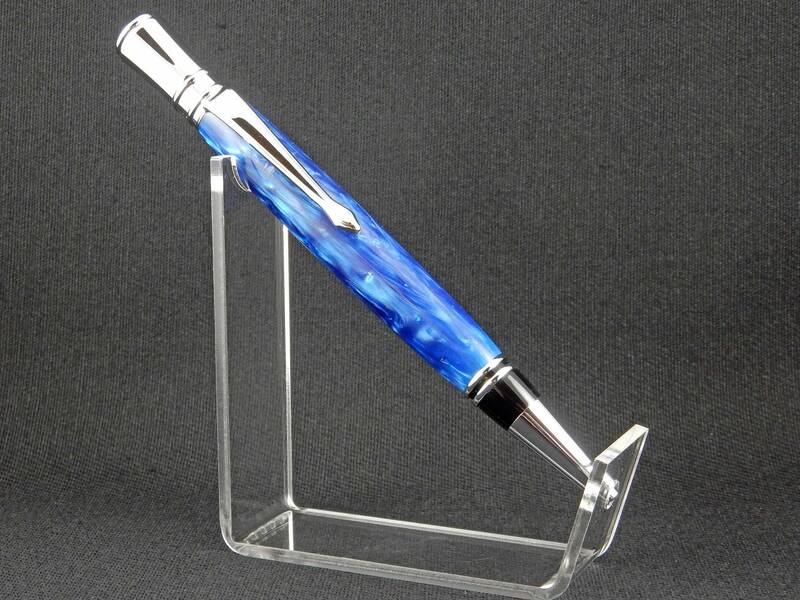 Inspired by the famed Parker Duofold line of Parker pens, this reproduction captures the essence of the classic pen. 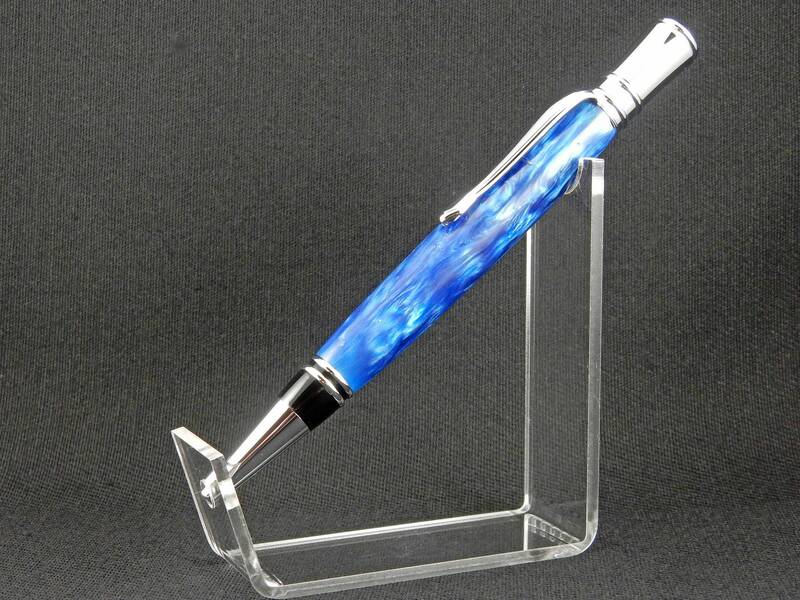 This pen has been hand-turned in beautiful royal blue, then paired with jewelry-grade plated fittings. 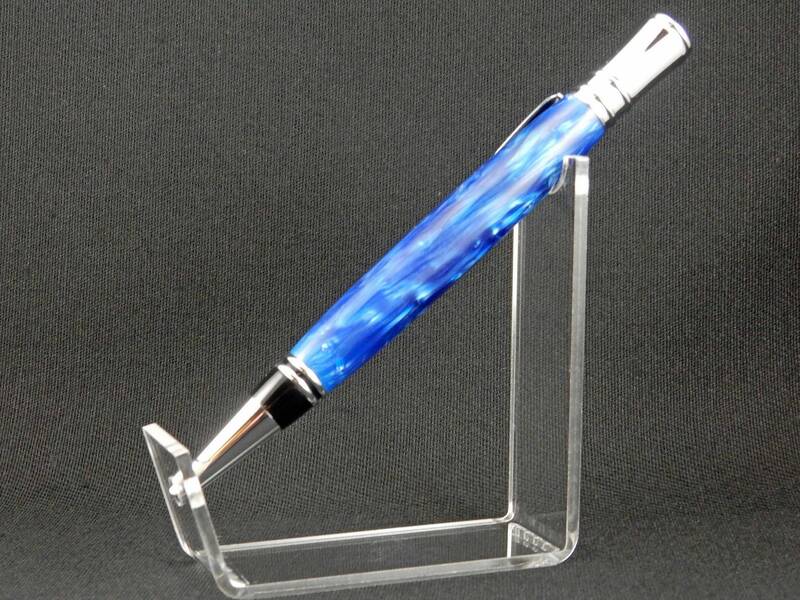 The pen accepts a Parker style refill, available in either ballpoint or rollerball, in office supply stores nationwide.